Putting out a fire on a damaged “Nevada” battleship in Pearl Harbor Bay. The fire is extinguished using a HOGA YT-14 tug. 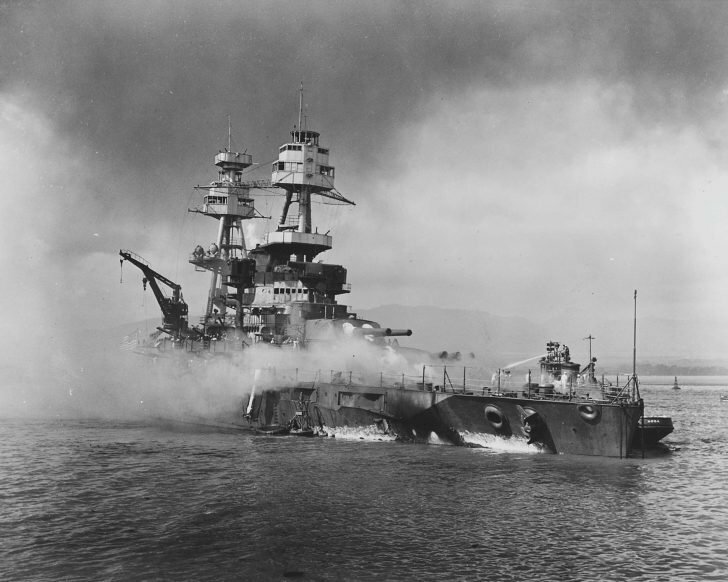 The “Nevada” battleship was damaged by an aircraft torpedo into the port side between the first and second artillery turrets, as well as six bombs and about a dozen close blasts. Total “Nevada” battleship lost 60 people dead and 109 wounded.